The average American spends most of their waking hours at work. So not only is it the business owner’s second home, it is for your staff as well. To keep employees happy and healthy at work one of the main things is a clean workspace. According to the EPA, one of the top 5 health risks is poor indoor air quality. Neglected floors and carpets are excellent breeding grounds for bacteria and allergens. Areas that are frequented daily like break rooms and bathrooms, conference rooms and training rooms, need consistent maintenance to keep them fresh and clean. And clean floors lower the risk of slips and falls. The investment you make in cleaning your floors and carpets will be repaid by higher employee attendance and less on-location injury. A study by a Florida State University researcher shows that both a lack of stimulation in the workplace and a dirty working environment can have a long-term cognitive effect on employees. When you are there day to day, it’s easy to overlook just how dirty floors can get. But consider the view your customer has when they enter your company. The first impression you makes starts the second anyone steps foot inside your office. Can you feel any sand or dirt under your shoes, or worse, is there a tackiness to your floor? Do you see shiny, clean floors and fresh carpets? If not, it’s time for a commercial floor cleaning. It costs money to have commercial floor cleaning services, but it’s far more expensive to frequently replace flooring that hasn’t been cared for properly. 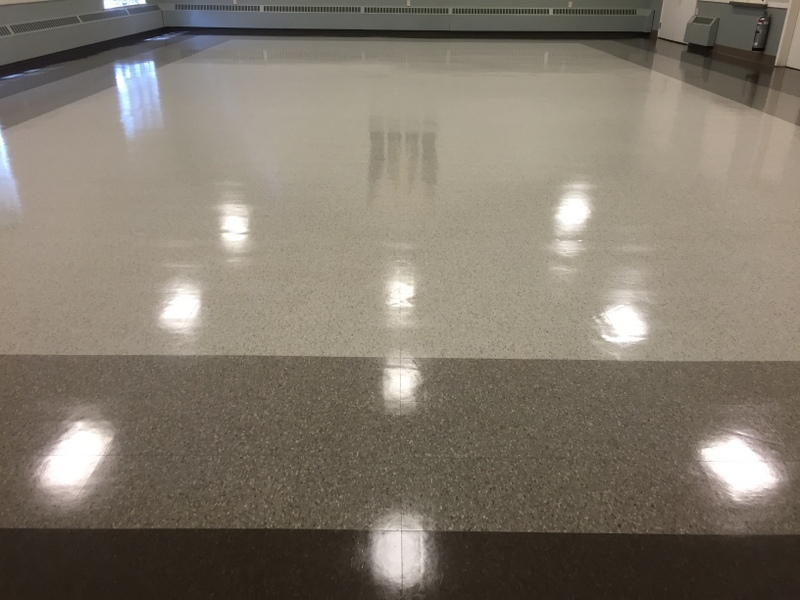 There are many types of floor materials, and each of them must be treated differently. By hiring a company, you’re choosing a higher level of floor care, from the processes implemented to the cleaning products used. At NAP’s, we’ll analyze your floor cleaning needs, and create a cleaning schedule that works best for you. Nap’s Maintenance offers services to keep any type of floor at your business location sparkling and new. We not only offer carpet cleaning, we also clean tile, cork, VCT and wood. Call us for an estimate to clean your floors today!